Yesterday’s blog demonstrated how to hide 17 cars. But what about 500 cars? 1. 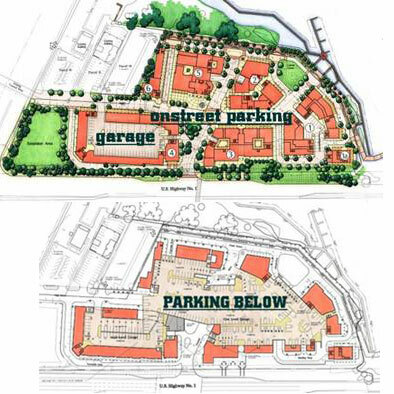 Parking is placed behind all the buildings, forming a parking core in the middle of the blocks. Thus, pedestrians only see people-filled streetscapes and streetfronts (ideally a paseo with no cars at all), not a parking lot/garage. 2. The entire site is built upon an underground parking garage, again out of sight for pedestrians. 3. With stackable parking systems, underground capacity can be doubled, even tripled. Tomorrow we’ll look at what a resulting urban village looks like in San Diego.